If you’re a human being, you’ve got habits. Actually, if you’re a living creature, you’ve got habits. I’m not sure that non-living creatures have habits, unless you want to call a rock’s sitting there on the ground as the rock’s habit and water flowing in a river as the water’s habit. Wait, let me rein my thoughts back in, which just started to go down the rabbit hole of thinking. Let’s start over: You’re human and you’ve got habits. You’ve got good ones and you’ve got not-so-good ones, perhaps ones that keep you awake at night wondering whydeargoddidihavetohavethatcookiebecausenowicantsleep or something like that. Not that I know anything about whatever a cookie is. 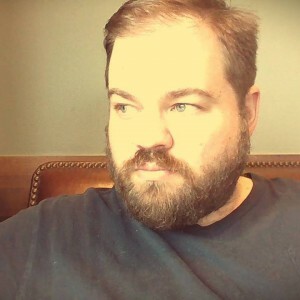 Habits have been a fascination of mine for the last decade or two. I came to a realization a long time ago that our habits largely define our lives, and that if we want to get our lives more aligned with what we envision as our ideal, we have to work on habits. Well, I was thinking about this one day and I started to daydream. I daydream a lot. In this particular daydream, I started to imagine a garden for some reason, which led to me imagining rabbits for the obvious reason. And of course, because I have the habit of being silly, my daydreams are often silly. So these were silly rabbits. Good ones and bad ones. Before you know it, the idea of The Rabbit List bounded into my brain and settled in. I’d write a book about habits, but because I embrace the silliness in life (and because I know that humor makes real life more palatable) I decided the habits would be rabbits in my book. Why on earth not? So here it is, my humble offering. 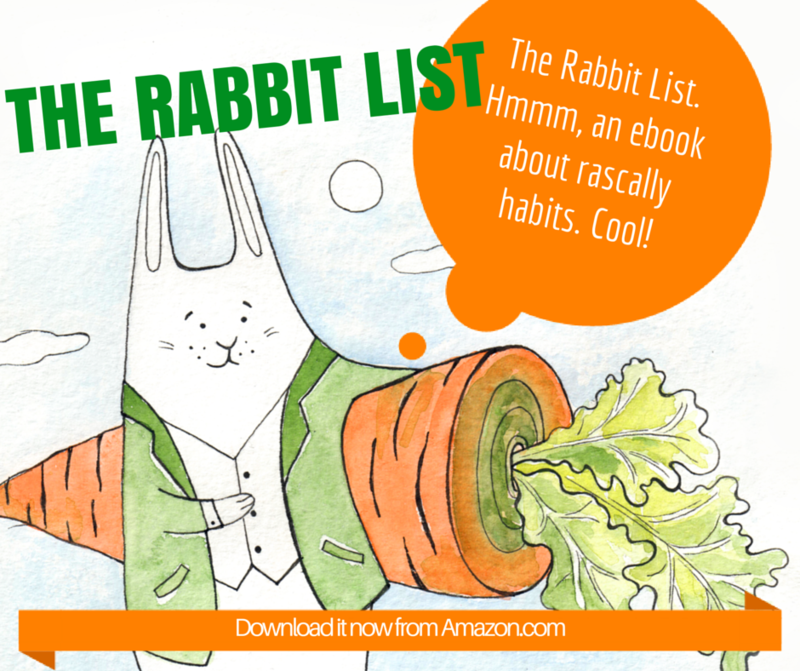 The Rabbit List: Getting Control of Rascally Habits, now published digitally by Leola Book and available on Amazon. The illustrations, which I think are fantastic, are by Evgeniya Pautova. Check out her website at WowYellow.com! If you’re seeking to change habits you have, this is the book for you. It’s also a book for me, since I practice what I preach, and has helped me change my own habits. It’s written as a parable of sorts, with humor to keep your eyes from drooping shut, and will be as easy to digest as a bunch of baby carrots. 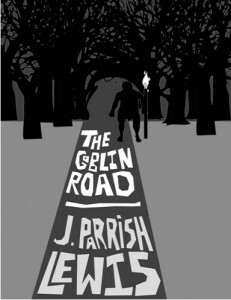 Check it out today, and take a peek inside the book. 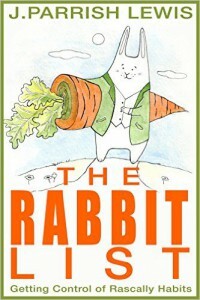 This is one that you’ll want by your nightstand, so you can fall asleep amused, inspired to make changes, and perhaps dream of mischievous rabbits.